The inside environment in Apopka homes can get uncomfortable pretty quickly if an air conditioning system is malfunctioning. As anyone in the Orlando area knows, this is a situation that needs to be addressed immediately to help restore the home to comfort, especially on humid days that are a part of central Florida life. High quality, comprehensive Apopka air conditioning repair is at your fingertips when you call the experts from DC / AC Air Conditioning and Heating. With an outstanding reputation for excellence spanning over 25 years, generations of central Florida residents have come to rely on trustworthy Apopka AC repair. Our technicians arrive at your doorstep in a well-stocked vehicle, ready to tackle any AC issue you may be experiencing. 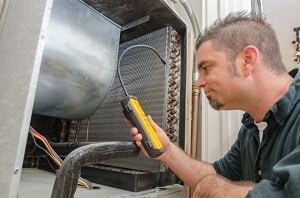 The reputation we’ve earned for efficiency and for providing thorough repairs has placed DC / AC Air and Heat at the top of AC repair in Apopka Florida. 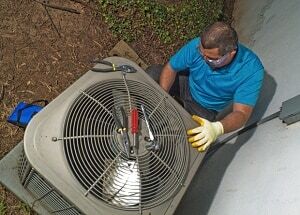 Every technician is fully licensed, bonded and insured for your assurance of the quality AC repair Apopka residents have depended on for comfort for over two decades. The Residential AC repair Apopka FL residents have come to rely on is expertly delivered by ace technicians from DC / AC Air Conditioning and Heating. We believe you’ll be thoroughly impressed by the expert, friendly service you receive from our best and brightest technicians. Our number one goal is to see that you’re happy with all evaluation services, AC repairs and installations. We’ve maintained an A+ reputation with the Better Business Bureau and we continually strive for 100 percent customer satisfaction. We believe you’ll be thrilled to learn about all the latest advances in HVAC and about all the new AC systems. Incredible benefits that come with these new, cutting-edge systems include keeping the environment cleaner for future generations and the cost effectiveness of operating the newest systems. We also explain complex facets like energy efficiency ratings and all the benefits of your new system. Our expert technicians can also educate you about the best ways to see reductions in your energy bills. Not only will you love having a cool and comfortable home, you’ll also be pleasantly surprised at how energy-efficient new, technologically advanced air conditioning systems are. If you’ve invested in an air conditioning system that comes with a rebate, we can help with the paperwork to ensure you get your rebate in a timely way. 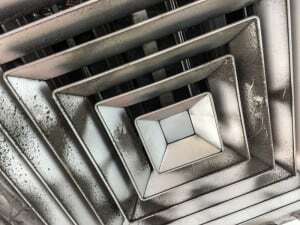 The expert AC repair Apopka depends on along with the AC service Apopka trusts most often is proudly brought to you by your local ally in keeping your central Florida home comfortable, DC / AC Air Conditioning and Heating. We are your central Florida neighbors. We know all the nuances of life in this beautiful subtropical climate, including the sometimes high humidity that can make the environment feel sticky and uncomfortable. We’re confident that you’ll love the top-notch AC service Apopka relies on to keep your home its cool and comfortable best. We think you’ll be impressed with the extraordinary knowledge, courtesy and professionalism extended to you every time we come out to service your air conditioning. We always keep your comfort foremost in our minds when we deliver the exceptional AC service Apopka has come to depend on for warm weather comfort.